At the end of Microsoft’s earnings call Monday night, Microsoft chief executive Satya Nadella explained what made Windows unique. And he flubbed it. Microsoft exceeded analyst expectations for the fourth quarter of 2014, its second fiscal quarter of 2015. During most of the call, Nadella and chief financial officer Amy Cook focused on where Windows went wrong. They blamed a 25 percent decline in its Devices and Consumer Licensing unit on economic conditions in Japan and China, and the lull that followed a surge in PC buying as Microsoft ended support for Windows XP a year ago. This was also the first holiday quarter after Microsoft eliminated license fees for Windows devices under 9 inches, as Directions on Microsoft’s Wes Miller noted. Given that Microsoft grew revenue by 8 percent during a period when Windows OEM revenue dipped 13 percent, Office Consumer revenue declined 25 percent, and Windows Phone revenue fell 61 percent, clearly consumer products are not fueling Microsoft’s’ growth. A brighter future for Microsoft appears to lie with back-end software and services, and not necessarily Windows. Office 365 subscribers jumped by 30 percent sequentially to 9.2 million; Xbox Live resale revenue climbed 42 percent year-over-year; and commercial cloud revenue, including services like Azure, drove revenue up 114 percent versus a year ago. 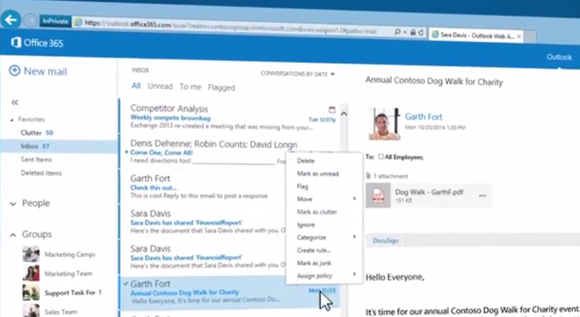 Microsoft’s Office 365 is the success story of Microsoft’s services strategy. The shift came into focus at the end of the call, when an analyst asked Nadella how the company’s multiplatform products and services—Office, Skype, and Minecraft, to name three—benefit Microsoft. Services like Office 365, its enterprise mobility suite, and other cloud services cover all devices in the marketplace, Nadella said, and maximize the opportunity Microsoft has for subscription and capacity-based services. Nadella then took on the challenge of describing what made Windows unique. Still, that stance diverges from the traditional view of Windows as the foundation of the Microsoft empire. In Nadella’s interpretation, Windows is more like a trellis, supporting Microsoft services as they twine up, around, and through its beams. 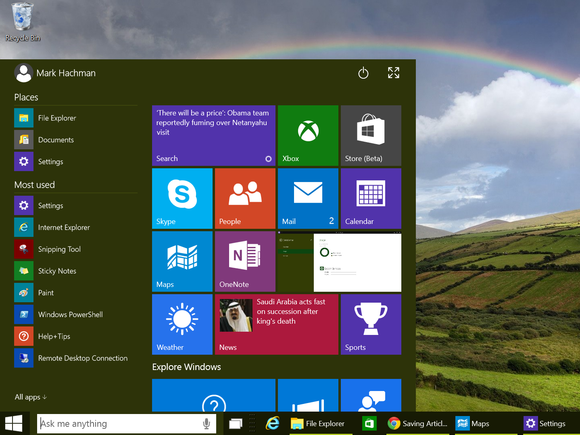 What will you be paying for in the Windows 10 generation? The PC? The operating system? Related services? Throughout Nadella’s tenure, there’s been an assumption that “Windows first” was the silent third phrase of the “cloud first, mobile first” mantra. That might still be true—Microsoft isn’t going to throw Windows overboard in any fashion. But by slashing license fees and making Windows 10 a free upgrade, Microsoft seems to be preparing for a world where its products are funded by services, rather than one-time purchases. Microsoft would much rather you pay them $100 or more per year for a suite of services that run best on Windows, rather than a few bucks in license fees every time you buy a new PC. Can Microsoft afford to make Windows free? Microsoft has already begun the process with smaller tablets, where the company eliminated Windows licensing fees for tablets under nine inches last year. The Windows Store, Bing, and Xbox gaming apps are all things that will replace Windows fees to monetize these smaller tablets, Nadella said, generating revenue alongside Microsoft-branded devices like the Surface and Lumia phones. And with Microsoft offering Windows 10 as a free upgrade to those who own a Windows 7 or Windows 8 PC, that money you paid to Microsoft for either OS is just going to be diluted further over not one, but two operating system lifetimes. Depending on how long you’ve owned a PC, it’s possible you haven’t bought a Microsoft OS in more than a decade. Microsoft also continues to make noise about offering Windows as a service, which inspired a brief Twitter debate between Greenbot’s Jason Cross and ZDNet’s Mary Jo Foley over whether Windows would ever be universally free. I think they’re both right: Microsoft intends to keep enterprises paying for support, patches, and updates as long as possible, while slicing the cost of its consumer Windows OS as deep as it can to attract more customers. Microsoft hasn’t said how it plans to do that, though. Although the service has pushed many of its formerly-paid services into a free tier, Microsoft has worked to make it Xbox Live Gold service indispensable for gamers. So what will this mean for you? More offers that are too good to refuse, I’d bet. Think about Microsoft’s Work and Play Bundle, which basically paid for itself with a terrific deal of Office 365, Xbox Live Gold, Xbox Music, and Skype. 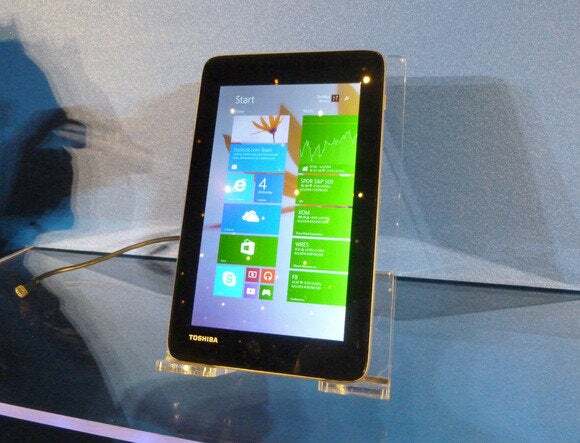 Or the cheap tablets that offer a $70 Office 365 Personal subscription as part of the bundle. 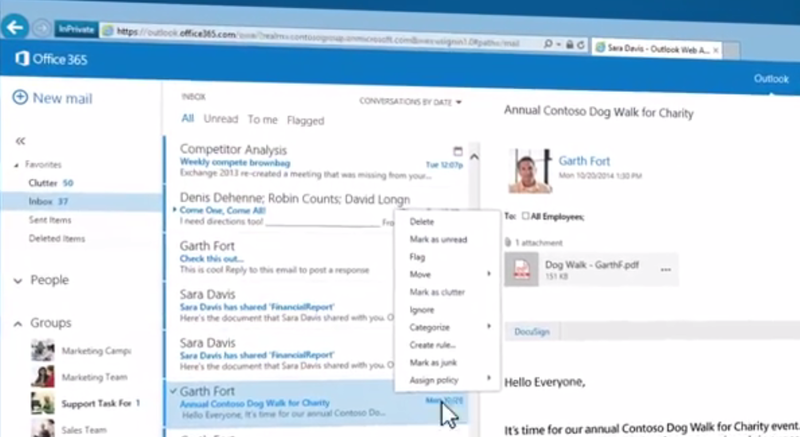 Or the new Windows 10 touch-based Office apps that will be bundled within Lumia phones. All of these are entry points into Microsoft devices, with bundled services that just happen to be on whatever other devices you own. And even at the “full” price of $199 per year, Microsoft’s Work and Play Bundle is the equivalent of your paying Microsoft for a new PC every single year. That has to make Microsoft chief financial officer Amy Hood drool. If anything, longtime Microsoft users may feel a little jealous, because you’re the ones who have purchased subscriptions. But if you haven’t, I can see Microsoft coming to knock at your door at some point, asking you to subscribe to its brave new world of subscription services. Because it has to make money somehow.